This fun-filled week will feature the popular networked computer game Minecraft®. 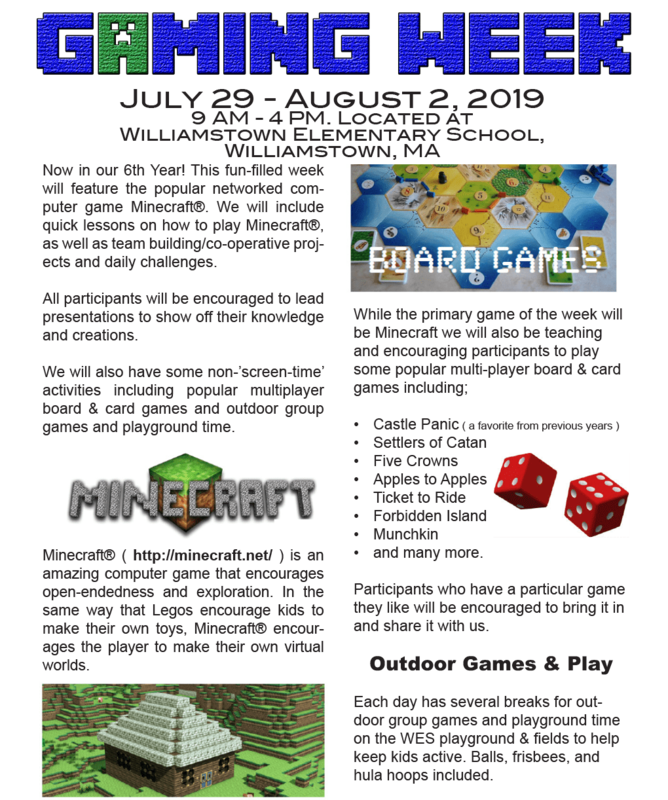 We will include quick lessons on how to play Minecraft®, as well as team building/co-operative projects and daily challenges. Download a copy of our 2019 brochure. Registration for Gaming Week 2019 is open! © 2019 Gaming Week. All Rights Reserved.